How to pack tomatoes in a way consumers could recognize their special qualities? Sweet Hearts is a special selection of tomatoes from the Sweet Grape line. Developed by Sakata Seeds, they were positioned in the functional food category due to their nutritional properties. They have three times more lycopene than ordinary tomatoes and a high content of vitamin C.
Lycopene is an antioxidant that helps to prevent damages caused by free radicals. It helps avert heart diseases and prostate cancer. 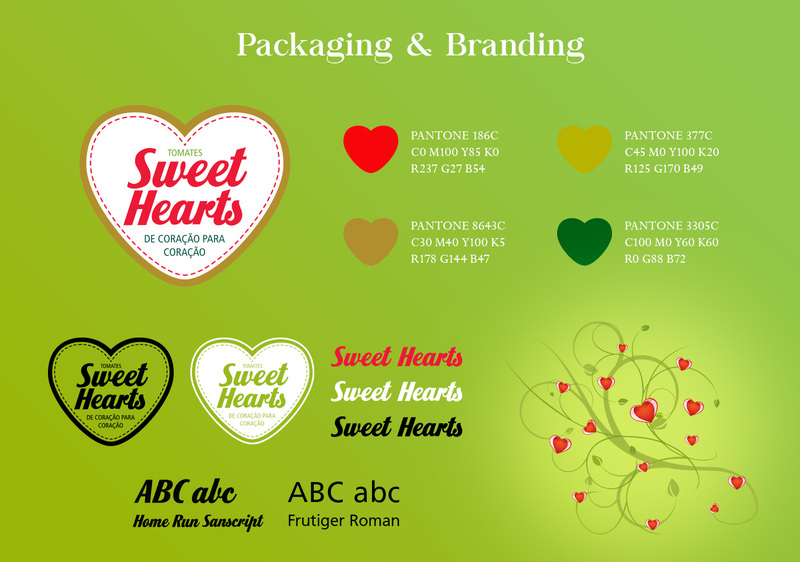 To show consumers the special qualities of the product, we developed a tomatoe tray package design in the shape of a heart, relating to the benefits of Sweet Hearts tomatoes. The eye-catching tomatoe tray outstands in points of sale. 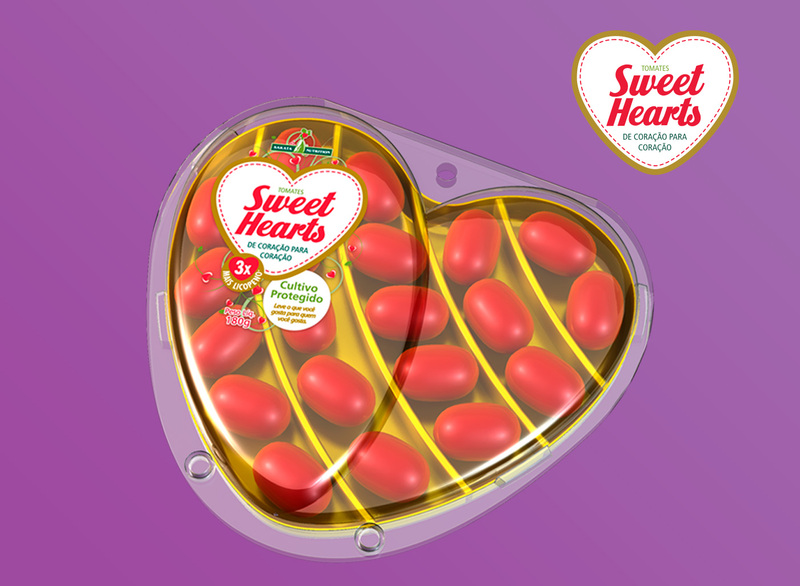 Packed as fine bonbons, Sweet Hearts tomatoes stimulate consumers desire and promote the purchase decision. 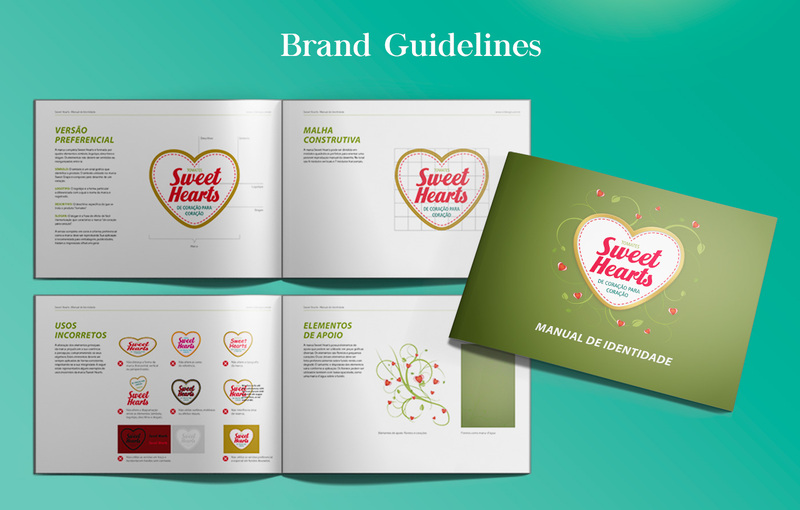 In addition, we developed the logotype, the brand guide and the launching campaign. 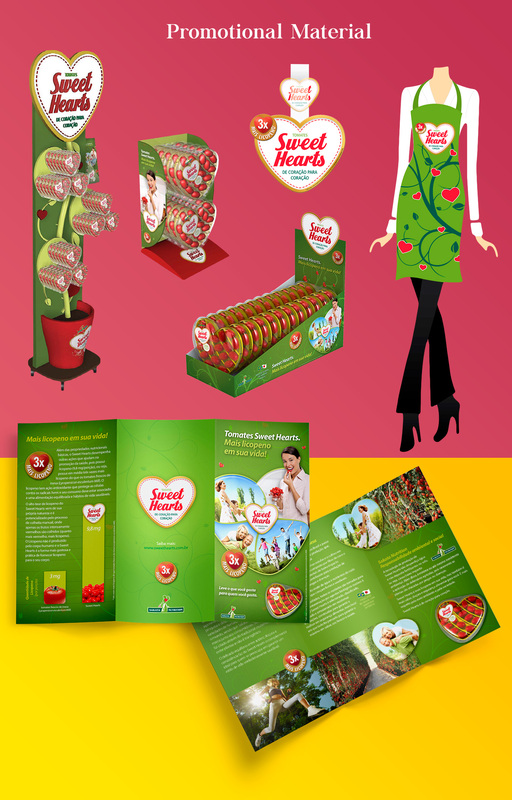 We also produced communication pieces, notably a display that simulates a tomatoe plant. Conclusion: creativity when adequate to product, public, market and the company`s goals, always grows good fruits. See another product of the same family: Sweet Grape tomatoes. Check here.